Halloween is in half a month so it’s just the time to start preparing all the decorations for the holiday. We picked up some very cool decoration ideas to get you inspired. 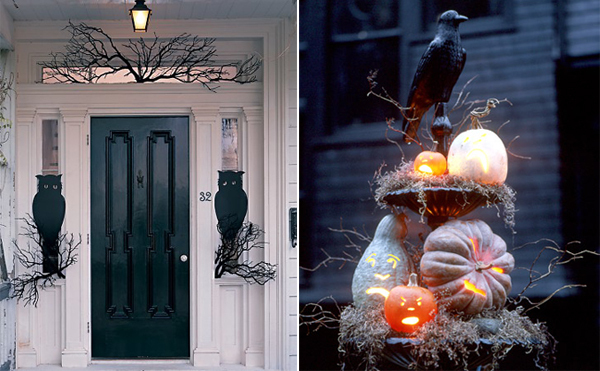 Owl silhouettes and birdbath filled with jack-o’-lanterns from Martha Stewart are great outdoor decorations for Halloween. These aren’t difficult to make yet they immideately bring atmosphere to your porch and garden. Another outdoor decoration is from Better Homes and Gardens. The wicked witch’s legs are actually a mannequin dressed in tights and shoes and stuck into an urn. 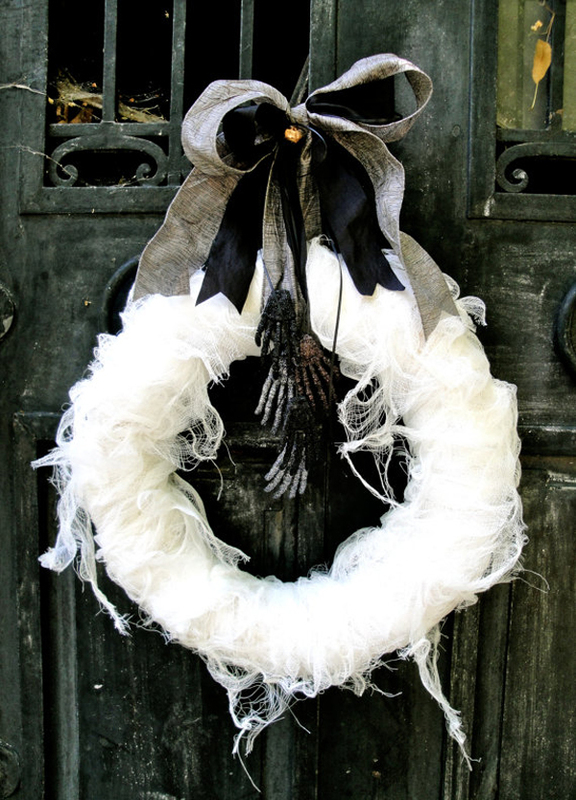 This beautiful Halloween wreath is from thechicadeeshop, which can be found at Etsy. Available in different sizes the wreath is made of bandages enhanced with dark ribbons and severed wrists. 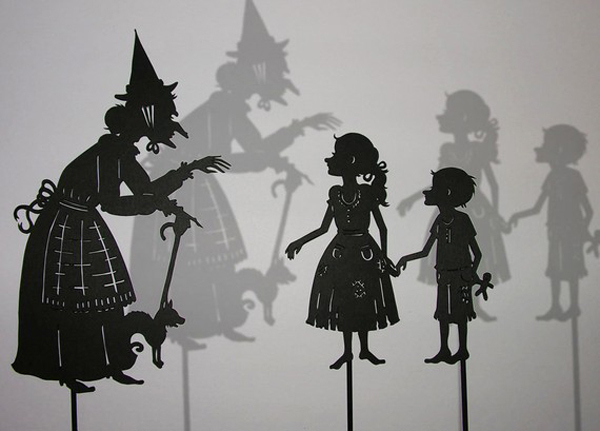 Shadow puppets are a great way to create a spooky atmosphere at home. Look at these Hansel and Gretel and Witch puppets from Isabella’s Art. They are amazing. They can be used to decorate the windows. 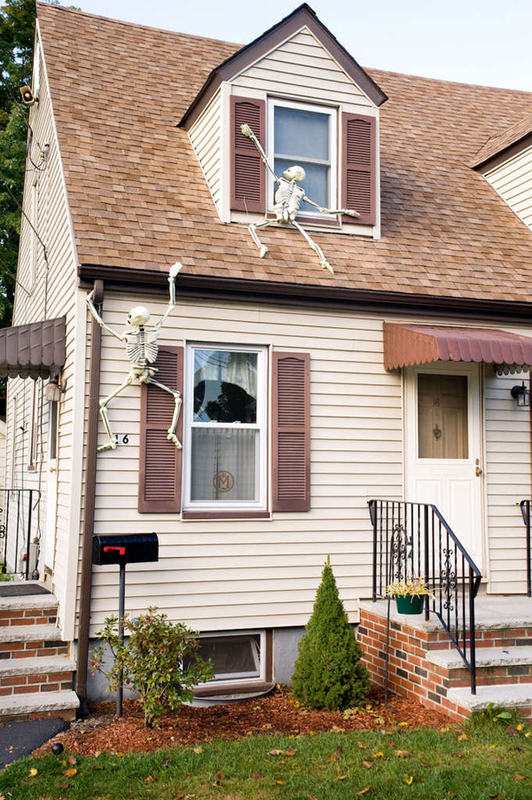 Climbing Skeletons from Instructables are simply amazing for a Halloween outdoor decoration. These will certainlybring a holiday atmosphere in the neighbourhood and make your house stand out.